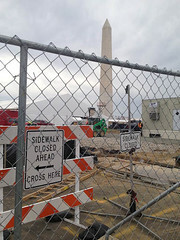 When The President of the United States and the Director of the National Museum of African American History and Culture (NMAAHC) break ground on February 22, 2012, it will be the beginning of a new adventure for Smithsonian Libraries. Plans for the museum include locating the library in wonderful space on a public floor with direct public access. Mary Augusta Thomas and Bill Baxter have been working with the staff of the NMAAHC space planning team, including representatives from the education department, the center for media arts and collections. We all enjoy the challenges of planning for a highly interactive information commons and a research library with a program that is only now being defined. Our joint vision is for a place that visitors will come with questions raised by their time in the exhibitions. These might be about objects in the collections, or the location of a museum or cultural center in their vicinity.